Classic sounding indiepop goodness of the type that's regularly featured on KPL - because we love it so much. 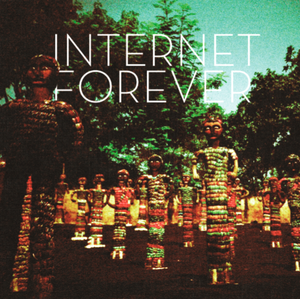 Briefly touched on in the review of Audio Antihero's charity compilation Some.Alternate.Universe last week, Internet Forever are really rather good. 'Centre Of Your Universe is their song from said release and it also features on their forthcoming debut album. Rarely has the 'Be My Baby' drumbeat been misused, and this is no expection – putting Internet Forever in the lineage of The Long Blondes, The Jesus and Mary Chain, Johnny Boy and – of course – The Ronettes. Jangly with a festive feel it's a wall of sound topped with handclaps and a sweet female vocal. There's all of these easy-to-point-to references, but at the same time Internet Forever feel new and stand on their own. The instrumentation is odd and with a modern twist that prevents the song from lapsing into retro copying and ensures a completly immersive experience. Bravely fading out when you expect it to return to the chorus, 'Center Of Your Universe' hints at very promising things for their debut album. Unfortunately unemployment means that my vinyl budget has already disappeared for the foreseeable future, but not to worry. This stands on it's own as a perfect pop single... or compilation highlight.